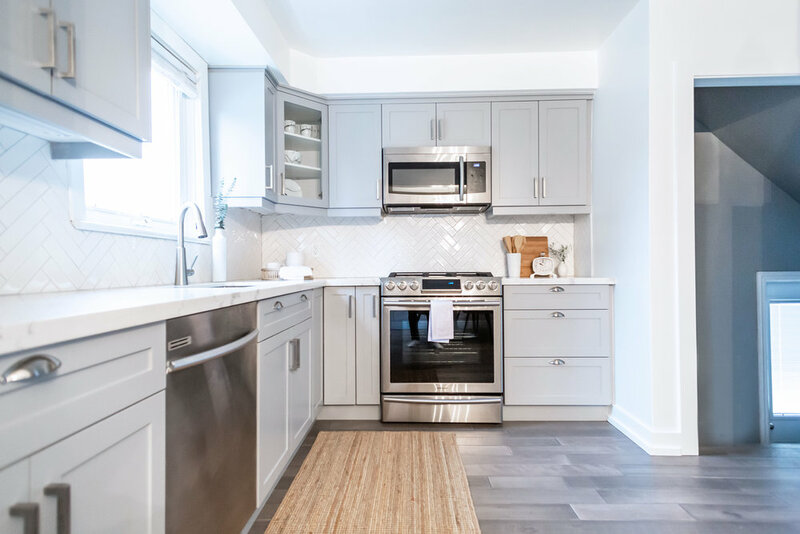 Spaces by Jacflash transformed this once run-down, dated kitchen and dining room into a modern, luxurious space, while staying true to our client’s appreciation for traditionalism. 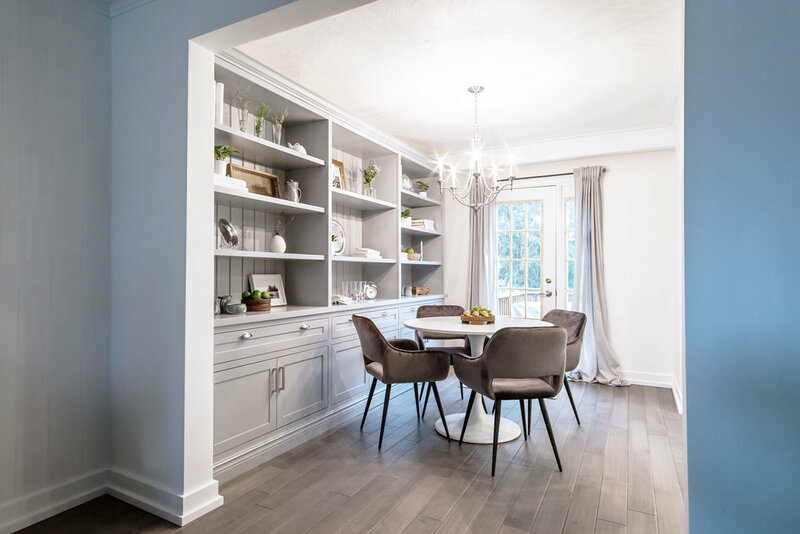 To maximize functionality and openness, we chose a custom shaker-style millwork and created a built-in wall unit for additional storage in the dining area. 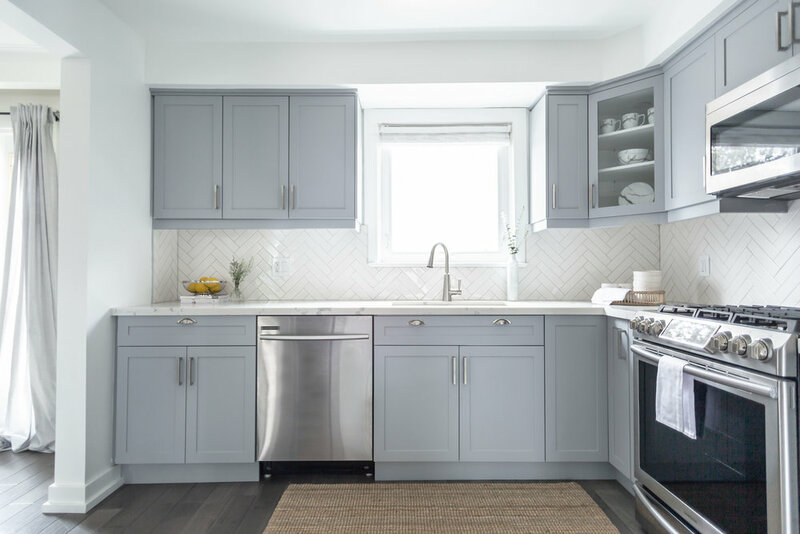 We painted the walls Benjamin Moore's 'Simply White' to complement the cabinetry, countertop and backsplash. This served a dual purpose of highlighting key pieces in the space while creating an open, airy feel as well. 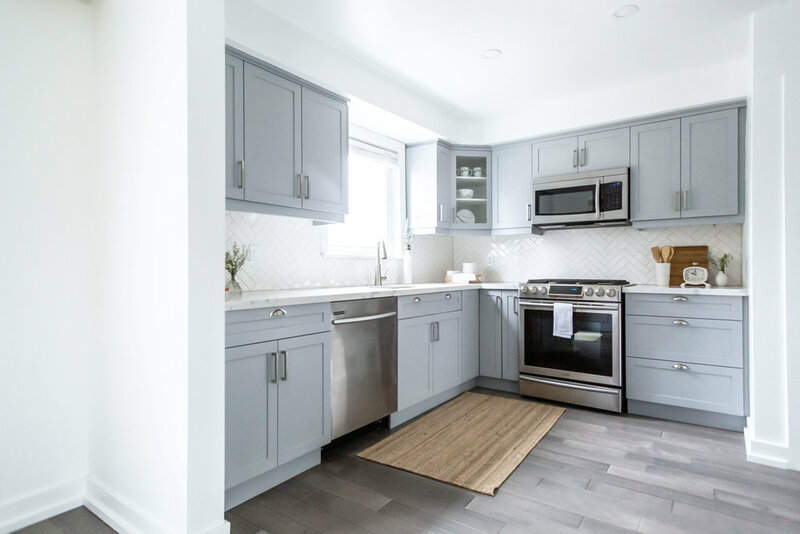 To add additional flare to the space, we combined modern, clean pulls on the cupboards with more traditional cup handles for the drawers, all in brushed nickel. 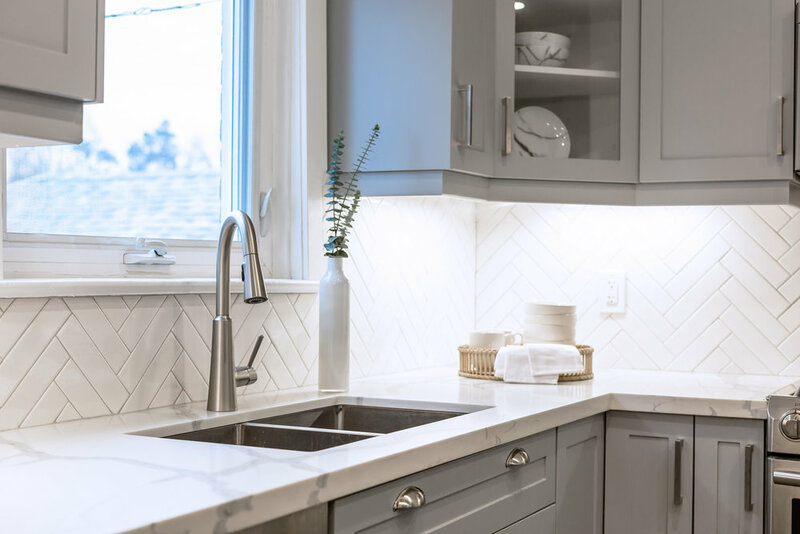 We swapped out all of the existing lighting and replaced it with new, flush pot lights and linear LED under-cabinet lighting to highlight the cabinetry finishes, the herringbone backsplash and the striking veining in the countertops. 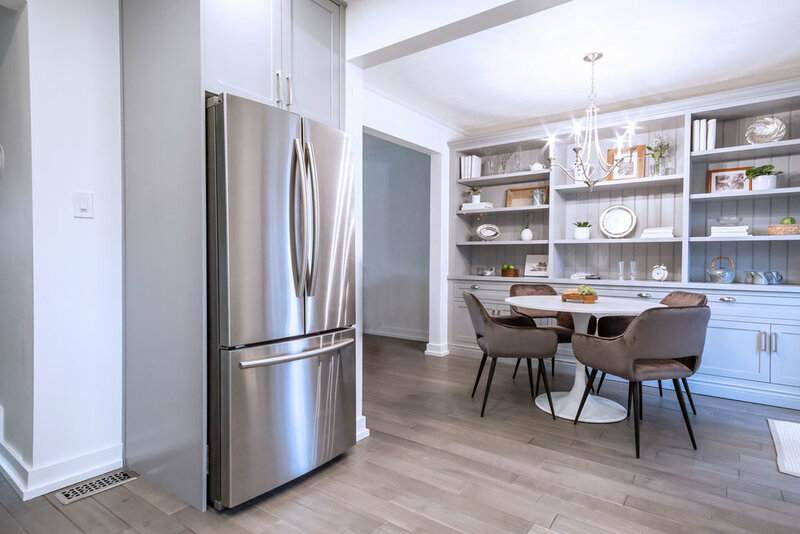 A small but impactful design decision was to remove the existing wall between the kitchen and dining area. This created functionality, seamless flow between rooms, and opened up the space. In the dining area, we paired a classic round tulip table with four San Francisco dining chairs from Kare Toronto. The soft velvet material and colour of the chairs adds a necessary warmth to the space. 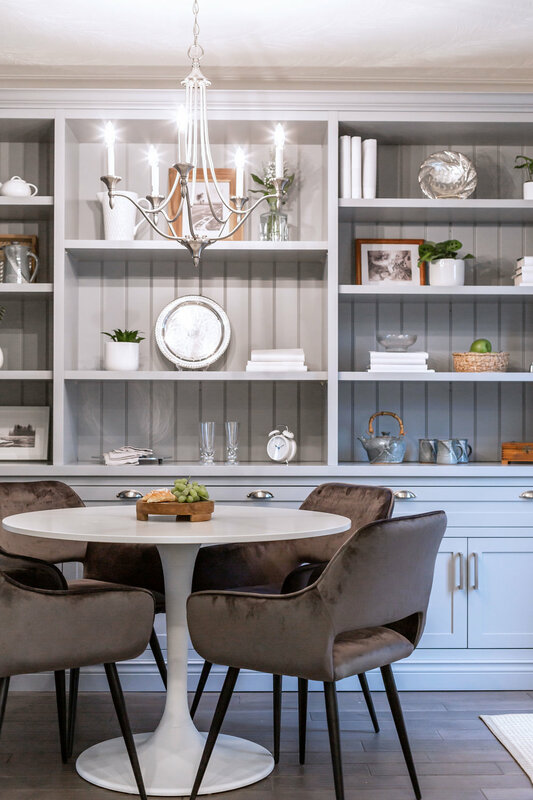 Finally, we lit the dining area with a modern take on a classic fixture, increasing intimacy and uniting the traditional and modern pieces throughout.